A while back I was posting a daily breakdown of my 2007 winter STL vacation, but that fell off. 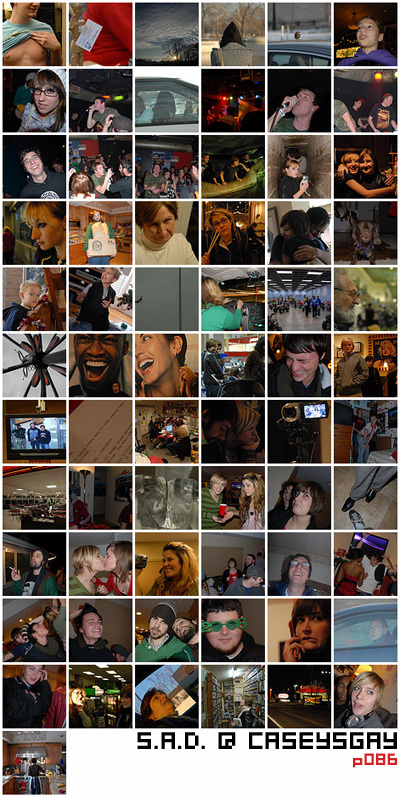 Heres some highlights from the rest of that trip, including such goodies as a Humanoids show, the first (or second read) of Bryan & Jeffs "Teen Comedy", and new years 2k7-2k8!!!! I cringed a bit seeing a few shots of me, but really, they weren't too bad. There are really some awesome shots - I especially like the one of the Pix broad and myself :-). all those shots are amazing, esp mom!